Every year it seems like the best running back in the NFL varies. 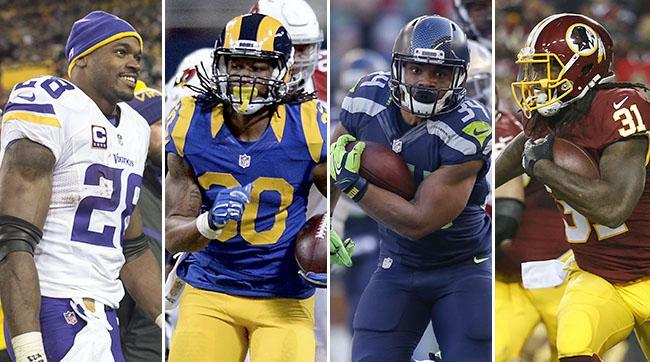 From veterans like Adrian Peterson to young guys like Todd Gurley, there’s so much talent to choose from. This year is no different. Players like Melvin Gordon, Devonta Freeman, Jay Ajayi and Lamar Miller are right on the cusp of this list. 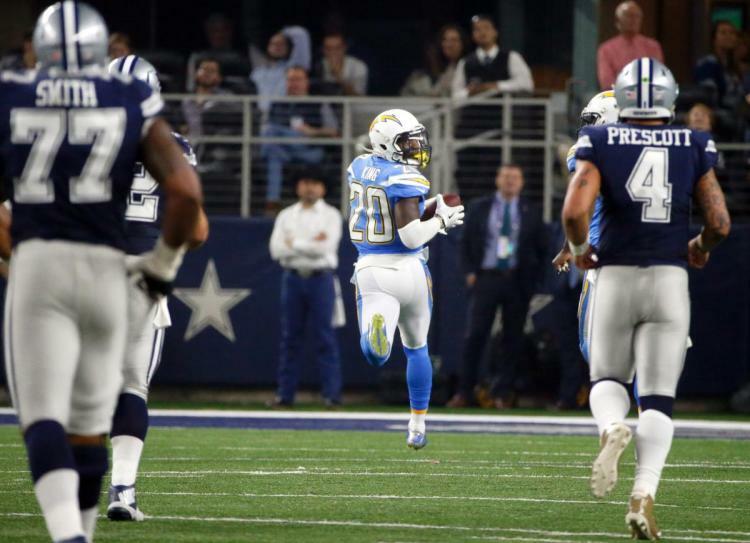 Even though running the football seems like a lost art, the running game is one of the most important aspects of winning in the NFL. Great running teams seem to always control the line of scrimmage and time of possession. Also, they tend to fatigue our defenses in the 2nd half making it easy to move the ball and finish out games. Which running back is worthy enough to be named the Best in the National Football League? LeSean “Shady” McCoy is one of the most forgotten running backs in the top tier. Outside of Buffalo, you don’t hear his name much unless he’s breaking off a highlight run. McCoy has been great running behind a pretty good offensive line led by Left Tackle Cody Glenn. Notching his 5th 1,000-yard season in his 8 years is no easy thing to do. And adding 59 touchdowns in those years has contributed to his spot on the list. Speed and agility are traits you’ll always associate with Shady but his vision is worth mentioning. You need good vision with speed to break as many long TD runs as he has. 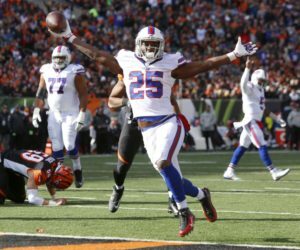 Since 2012 LeSean McCoy is tied for 2nd in most TD runs over 20 yards. McCoy also has the quickness to break would-be tacklers in the open field and burst through tight seams for first downs. 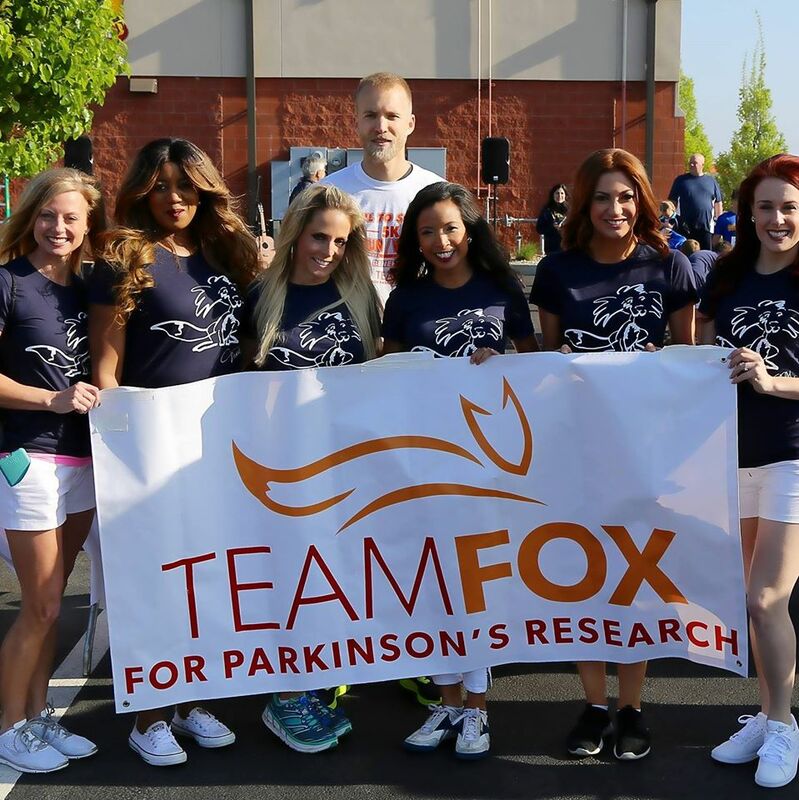 There’s no question that Shady McCoy has lost a little since his prime days in with the Eagles but still has all the skills to be named a top-level running back. Demarco Murray hasn’t always been a well-known name throughout the NFL. After being drafted in 2011 by the Dallas Cowboys he didn’t get off to a fast start like I’m sure he wished. Only having 1,560 yards in his first two seasons and six touchdowns wasn’t what Cowboys Owner and GM Jerry Jones envisioned for his 3rd round selection. In 2013, Murray picked up the production with 1,121 yards and nine touchdowns earning Pro Bowl honors. 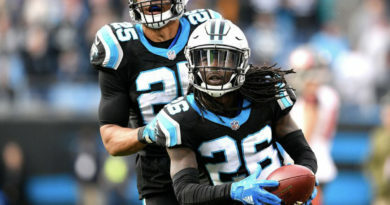 His breakthrough year finally came in 2014 posting career highs after finishing with a league-best 1,845 rushing yards and 13 touchdowns and it earned him a First-Team All-Pro selection. The run-heavy Cowboys in 2014 is exactly the style offense that best suits the style of Murray. He is a bruising style runner with surprisingly quick feet in the hole and in open field. The speed of Murray will surprise you as he often bursts away from DBs and has one of the best stiff arms in the NFL. After two straight dominant years with the Cowboys, he was moved to the Eagles where he struggled mightily. The up-tempo quick paced is more suited for a speed back which Murray is not. 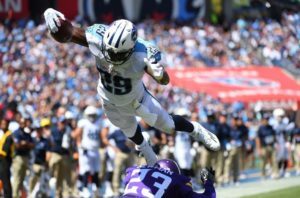 As quiet as its kept Murray is back to his old self with the Titans putting up 1,224 yards and 12 total touchdowns in 14 games so far. Being that Murray will soon turn 29, you have to think his stock is trending downward. 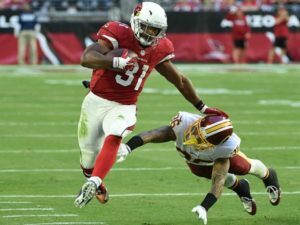 Arizona Cardinals running back David Johnson IS the most underrated in football to date. Rushing the ball is just one of his few qualities. David Johnson is good in pass protection and lethal in the quick passing game. He is both quick and strong and always finds a way to get extra yardage at the end of runs. Looking at the stats would surprise you if you’re not really sure how talented he is. Through 14 games, Johnson has 1,138 rushing yards and leads the league in yards from scrimmage with 1,938. Catching the ball is so vital to his importance to the Cardinals. Johnson is on pace for 1,000 yards rushing and 1,000 yards receiving with 20 total touchdowns. If there’s something David Johnson could work on it would be his fumbling. He’s at 4 fumbles this year which isn’t good for any running back. But at only 25, he’s one of the running backs on this list that are trending upward. Some were surprised at the Dallas Cowboys 4th overall selection in the 2016 draft and others were pleased. But by now you have to think every Cowboys’ fan is ecstatic they drafted the stud running back Ezekiel Elliott. In only his rookie season “Zeke” has been putting up monstrous numbers. Through 14 games so far, Zeke has 1,551 yards and 13 touchdowns which are good enough for 1st and 2nd in the NFL respectively. His quick decision-making at the line, speed and vision are some of the best in today’s game. He’s also really good a breaking tackles to get that necessary first down. 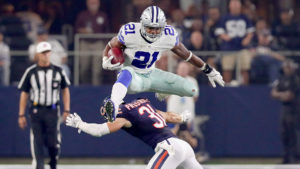 We haven’t seen a running back come in and tear up like league like Elliott since the famous Los Angeles Rams running back Eric Dickerson back in 1983. Elliott is on pace for the 2nd best statistical season for a running since the aforementioned legend. If Zeke finishes at this pace he would have accumulated 1,772 rushing yards and 15 touchdowns. The record held by Eric Dickerson is 1,808 yards and 18 touchdowns. Zeke needs 258 rushing yards six touchdowns to break both single-season rookie records. Even without that, this season for Elliott is one for the history books and worthy enough for him to reach 2nd best in the NFL. Who else could be the number one running back after reading the prior names right? Le’Veon Bell IS the best running back in the NFL and you shouldn’t think twice about it. The Pittsburgh Steelers got a steal in the 2013 draft selecting Le’Veon Bell in the 2nd round. Early on Bell had his struggles only finishing with 860 rushing yards in his rookie season. That didn’t deter him or the Steelers from feeding him the ball in his sophomore campaign. He earned Pro Bowl and First-Team All-Pro honors in 2014 with 1,361 rushing yards, 2,215 yards from scrimmage and 11 total touchdowns. After an injury-riddled year in 2015, Bell rebounded this year with 1,747 yards from scrimmage and 7 total touchdowns. Le’Veon Bell talent is even deeper than his numbers. In the Steelers scheme, they often motion him out the backfield to get mismatches on linebackers. His route running is so elite even some defensive backs have trouble staying with him. The patience that he shows at the line waiting for holes to open maybe his greatest strength. When you watch him run it seems like he’s in slo-mo or confused but really he’s waiting for one slip up in the defense then he’ll use his top-tier speed to accelerate to the second level. Bell also excels in pass protection which helps out his Future Hall of Fame quarterback Ben Roethlisberger find his many weapons. Without a doubt, Le’Veon Bell is the best running back in the league and at only 24, he could be the best for many years to come.